Rick Crawford, a former Army Explosive Ordnance Disposal Technician, congratulates the team behind Oscar winning film The Hurt Locker. The military veteran of the same field highlighted in the 2010 Academy Award-winning film is seeking to continue his service to the country by running for Congress in Arkansas. Crawford, a former Army Sergeant, served as an EOD (explosive ordnance disposal) technician years before seeking the U.S. Congressional seat in the First District of Arkansas. 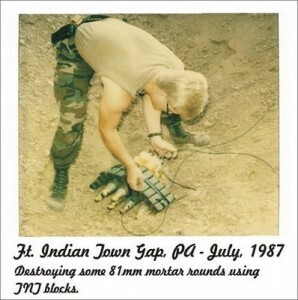 He disarmed explosives for the Army both domestically and overseas. Sergeant Crawford’s overseas deployment was in Southwest Asia, during the 1980’s Soviet conflict in Afghanistan, long prior to the conflict in Iraq that inspired the Oscar-winning film. First released in 2008 and in the United States in 2009, The Hurt Locker highlights EOD operations following the 2004 invasion of Iraq. The emotional and suspenseful movie demonstrates the level of bravery and courage along with the calm nerves needed to disarm explosives in a war zone. The film won Academy Awards for Best Picture, Best Director, Best Original Screenplay, Best Film Editing, Best Sound Editing, and Best Sound Mixing. Rick Crawford is a second generation military veteran who’s father served before him in the United States Air Force. After extensive travel at home and abroad, Crawford later settled down in Jonesboro, Arkansas to create his broadcasting business, FarmHouse Media, which provides agriculture news to 45 stations across 5 states and is launching a new all-sports FM talk radio station in the Jonesboro market. He has been endorsed by many notable Arkansans including Governor Mike Huckabee, former Congressman Ed Bethune, and former Congressman Asa Hutchinson. Rick officially announced his intentions to unseat the seven-term incumbent Democrat Congressman Marion Berry in May, 2009.